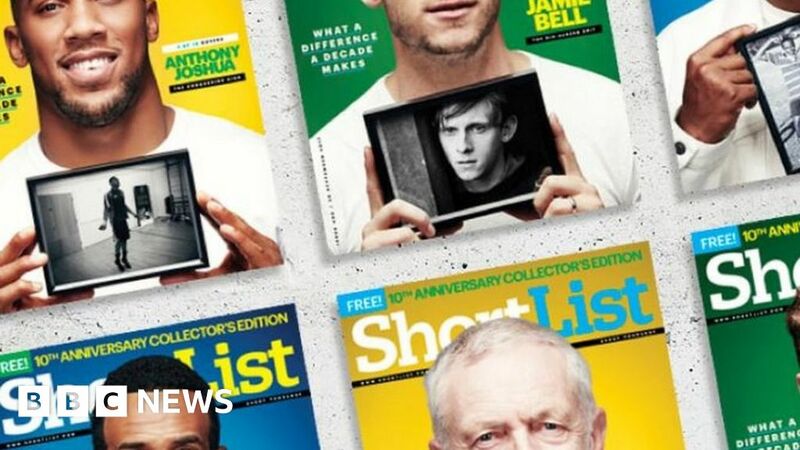 ShortList, which claims to be UK’s biggest men’s magazine, is being axed by its publisher as advertising continues to move online. The magazine will stop publishing its free print edition, which has a circulation of about half a million copies, but live on online. Its publisher has been renamed the Stylist Group and will focus on the female-focused title of the same name. Stylist has twice the revenues of ShortList despite a smaller print run. The closure, which was first reported by trade title Campaign, will result in some job losses. Staff were told about the decision to close the print edition on Friday. It was distributed in Manchester, Birmingham, Leeds, Liverpool, Newcastle, Edinburgh and and Dundee as well as the capital. ShortList is described as “made for those navigating the opportunities, contradictions and challenges of modern masculinity”, while Stylist is called an “advocate for women who are defining a very modern take on feminism”. The rapid switch of advertising spend away from print titles to online platforms such as Google and Facebook brought about the demise of Nuts in 2014, with the axe falling on the other three titles the following year. The beginning of the end for Nuts’ diet of “girls, gadgets, footy and laughs” came in 2013 when the Co-op decided to stop selling the magazine after its publisher rejected a demand to put it in a “modesty bag”. ShortList was founded in 2007 by Mike Soutar, a former editor of FHM and Maxim magazines, and had the strapline: “For men with more than one thing on their minds”. Beano publisher DC Thomson bought the company three years ago.